Hi, i would like for you to take back SPG-s that i played and researched so far and to give me back my xp i earned with this class of vehicle. I play this game since the beta ended and i realy enjoy playing SPG-s and big heavy armoured tanks. I played one to many battles for me to be ok with you giving in to some pussies that nag all the time arty this and arty that, just because they dont know how to play. Its not my fault that they are noobs!! With this latest anouncement in which you plan to nerf arty further more, for me is unaceptable to continue being stupid and to tolerate bad accuracy, long reload, low dmg and slow SPG vehicles. If you are not going to endulge me i am going to swich to warthunder and you can go [edited]your self with the rest of naging *edit that dont want and dont know how to play against arty. In warthunder i have havock engine, old and new main battle tanks like abrams, multiple respawns in one sesion, i can play airplaines, boats and much more. Hope to hear from you soon because i have 20 further clan members that are going to switch over with me. And dont forget all of us bought at least one premium tank. Edited by DarkAri, 23 March 2019 - 07:09 PM. Charioteer - just delete it. Horrible tank. Compare that bit to your P2W premium tanks and you will see why it should not even exist on game. Edited by thetoughcookie, 27 March 2019 - 01:50 PM. I have been an ardent supporter for a long time, even when people have talked crap about the game. Today, the constant imbalanced matchmaking, and the constant being crap on by arty, I have had enough. Sort the matchmaker in a revolutionary way, and remove arty from the game completely, and I may come back. I've spent an awful lot of money on this game over the past 3.5years, but I simply refuse to pay any more, or play this *edited* game. I will come on this forum every now and again to remind the pig-headed wargaming staff when I know they're reading. Edited by Nebiros_1, 24 March 2019 - 08:35 PM. Sort the matchmaker in a revolutionary way, and remove arty from the game completely, and I may come back. I've spent an awful lot of money on this game over the past 3.5years, but I simply refuse to pay any more, or play this [edited]game. I'm at an all time low today after similar gameplay results, inappropriate chat ban and auto response to tickets and other situations, but I think I'll just go buy Assasins Creed which is on sale on STEAM and play that for a while, coming back here once I've recharged the batteries. I fully understand your feelings though. 1) Adding more customization to the filters within the garage area to make it easier to find what you are looking for. 4) Add more options to the minimap so you can "Identify areas you want to be spotted (binoc icon? )", "comment on player positions (campfire icon? )", "Icons for arty or TD to show their (unspotted) positions", etc. A garage filter for non-elited tanks. Alternatively, an exclude flag. Totally agree that on chatbans and those autoreplies on customer service. They should make arty limit 2x for a team still. I still think some of vehicles are too fast too, atleast the fastest one currently. Impossible to hit and it's like you would be watching this game with fast forward. 1) Remove premium ammunition or make affordable only with gold again to make more fair battles and more balanced teamplays and to make armor a lot more usefull, cause even lightanks are just raining premium ammunition to penitrate heavys, but they arent ment to do damage, but to spot. Same with meds, which no one-handed can take heavys, but they should work as team and heavys could again push lanes. 3) Remove ELC EVEN 90, Obj.252U, Chrysler K GF and probably there is more pay2win tanks. When you started to sell these pay2win tanks, you started to lose playerbase. I think I dont need any explanation. 4) Remake MM. A lot of players were complaining about previous matchmaking, but amm, this mm is even worse. I wasnt complaining at all about having one tier 6 light tank against T7s or T8s. It was fun, cause I knew my job - to spot. And some meds/heavys could do pretty good damage anyways. I enjoied previous MM a lot more than this. And also, please, take in mind QuickyFingers advices about how he would fix WoT. :-) Cause he has a lot more bigger brain than WG Devs. But I think....there is no point of thinking about such things, cause devs wont take in mind this. My suggestions are just not profitable for WG. But it will be less profitable, if WG will stop what are they doing now. Half of players stopped playing this game. That is good sigh about how WG is beeing responsable about this game and how they do care about player expierence. They basicly dont care. REMOVE 100% hit chance for wheelies when using standard ammo. They already have to many benefits compared to normal tanks. In warthunder i have havock engine, old and new main battle tanks like abrams, multiple respawns in one sesion, i can play airplaines, boats and much more. Why is there no arty in Warthunder? Remove premium ammunition and those op steel wall tanks. ....super heavy tanks you cant pen frontally even with prem ammunitions getting -90k in a battle with a premium account!? Are you serious? crapheads ,censure me again muppets! -90k with a premium account? Stop shooting full gold! Instead learn weakspots, learn to read minimap and use opportunities that arise during battles? ppl theese days do not want learn weak spots just press 2 and there you go pen pen pen. i my self i try not use gold rounds i know tanks weak spots but if you spamming gold rounds you have more chance win /get rating up and be 1 of them cool guys who say go home learn to play . play tetris etc. this game is p2w/pay to advance without premium you really cant afford spam gold rounds, also need premium tank. 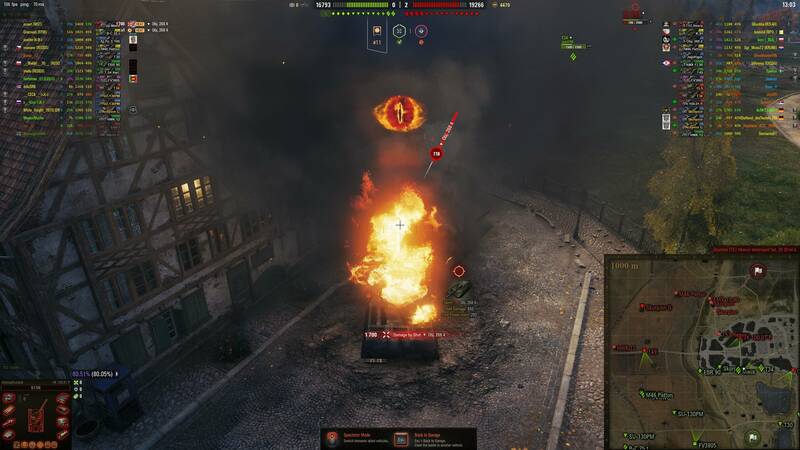 Premium tanks can spam heat 24/7 with no regret silver income. We have over SIX YEARS of forum content filled with all kinds of suggestions already. What we don't have is a mod or community guy caring about even a single one of those. Edited by mcxmcx, 27 March 2019 - 05:05 PM. I suggest to remove premium ammunition, cause light tanks arent spotting anymore - they are running after damage dealing stuff, cause they are allowed to do it....FOR FREE. I hate these 40% wr nights. No matter what you do, you just cant do a crapwhen enemy teams always [edited]you up. Then there is these stupid [edited]WG OP tanks which I hate on this game, it comes without turret behind corner and shoots you from ammo rack before you can even move. Guess how many hits would that tank make from me to kill it, even it would not shoot back. GG WG. No wonder some stop playing this game. BTW next game same tank 3 hits, 0 pen. I bit wonder how many players quit WoT after getting these totally crapMM and RNG days? It is a big joke. Total: -28 547 WN8: 0 (0)"
Edited by thetoughcookie, 28 March 2019 - 12:36 AM. The amount of xp you get after the battle should be calculated in a different manner. I made an experiment and suicided my arty on Ruinberg in the first minutes of the battle (as quickly as I could) and got almost as much xp as the top guy on the enemy team, who did over 4k damage in a heavy tank (so full xp for damaging tanks). It's super annoying to do exceptionally well in the battle and still do almost no xp because the team you were in didn't perform. I think everyone should get base xp according to the same formula and only then the winning team should get 50% of that xp more. It would reward the players who really did something in their tanks and also punish afk players and bots. If both teams had players that did 4k damage, they should get the same base xp. After artillery, this is the second most annoying thing in the game for me. Make "automatically resupply ammunition" checked by default. It's quite rare for players not to want to resupply and so it should be default. Because it is not so, I always go to battle without repair kit or medkit in my new tank, because I forget to check that button and it doesn't resupply after the previous battle. It's a small thing, but it's annoying. Crews should be backward compatible. If you had a crew trained in a vehicle, it should be able to drive that tank without 25% penalty even after you retrain them for a new tank. I have a lot of tanks i don't play because I moved my crew to a vehicle from the higher tier and so I don't play those lower tiers because playing with stock crew is painful. Rework x2 for the first victory. It promotes playing with each tank once and so playing a tank without getting hang of it after a break. I should be able to play the same tank few times in a row and get those bonuses. Playing the same tank few times in a row makes players play that tank better (and so the skill level of the teams goes up) which results in better matches. It also is much more enjoyable to be able to play a tank you want to play and not the one you have to, because it's a rational (and not fun) thing to do. Rework x2 - it should be awarded to top 10 players from the winning team and top 5 players from the loosing team. This way you will not punish players who did well and lost the x2 opportunity only because their team was no good and also you will avoid the situations, where players get x2 (or even x5) when they had a very weak game (which is frustrating to say the least). This would decrease toxicity as players would have one less reason to be mad for their team. The same goes for my other proposition for the reworked xp gain. Implement the overwatch feature, just like Steam did. 1- give tanks historically accurate armor, gun depression angles, and engines, for me the last update that was like this was update 9.16, and non historical tanks should be balanced around the more authentic tanks, NO MORE BUFFS, it's time to nerf ladies and gentlemen. and premium tanks MUST apply to the nerfing rule as well ! i'm tired of OP premiums that can't be nerfed due to some selfish policy! 1. Instead of adding more new garbage that no one asks for, how about actualy improving the balance of existing content/vehicles? 2. An addition of PvE battles would be apprechiated, for ALL tiers, not the current cr*p we have. Getting upgrades for your tanks and crew training will be much easier if such mode will exist, so you will not be forced to go to battle against players with stock tank and poorly trained crew, making the gameplay experience more enjoyable. 3. Lower tiers (From tier 4) should be able to have more gamemode variations such as frontlines, not just the same boring random battles. I just dont understand the the mindset of developers to give fun game modes being available only to tier 8 and higher. 4. Spotting mechanics is complete bogus, It's extremely confusing and needs rework. The gameplay is pain without having Sixth sense at 100% in your commander. Overall I think the rework of that will make light tank gameplay more fun and noob friendly, less confusing. Edited by maxim131, 29 March 2019 - 05:48 PM. Here is one BIG suggestion wargaming: what about you stop turning this into world of premium tanks and start working on removing premium ammo and balancing tanks? 1. Maximize the number of arties 2. Three arties kill the game, no1 dares to even move from arty shadow. 2. Delete the HASH projectile of FV4005. Killing light and medium tanks with 1 shot is only fun for the fv4005 owner. It highly unfair making this TD overpowered. 3. FRONTLINE: Everybody loves frontline. So make more huge maps for this game and let us play it all the time. I love that there are only tier 8 tanks in it and I can manouver through the huge map, plus this is a long game, sometimes takes half an hour. 4. Do something with the random games. They only lasts 4-5 minutes even at tier 10. Sometimes I cant shot one because all enemy got already killed when I get there with a slow tank.